I recently had the honor of being asked to contribute to the new book “McCombical. 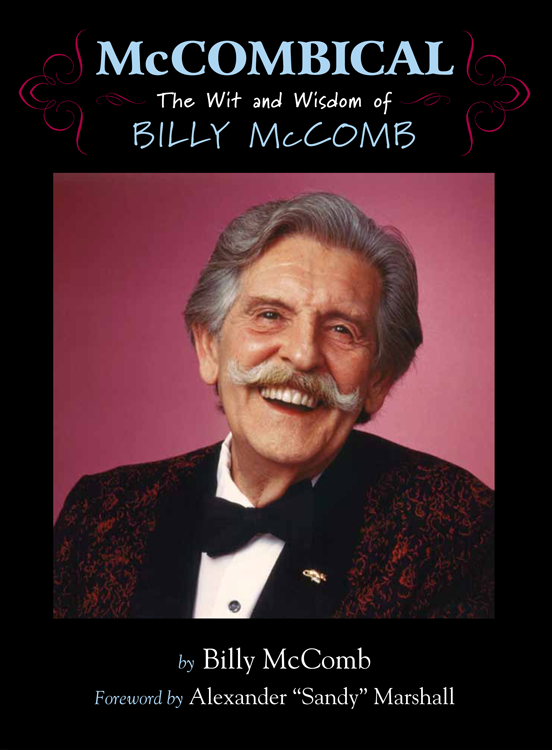 The Wit and Wisdom of Billy McComb.” It meant a lot to me to be able to join in with others in adding my thoughts about this legend of magic. 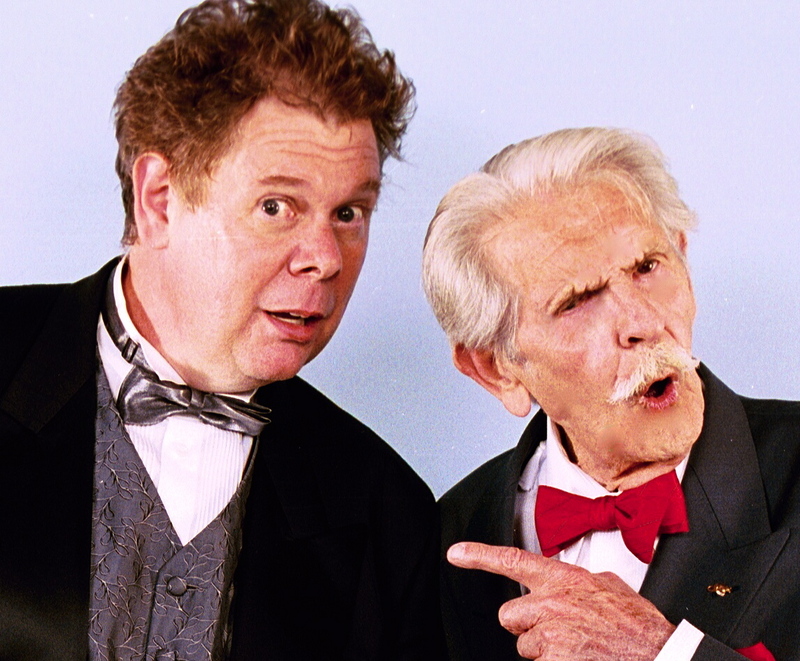 Billy was my hero, mentor and friend from the moment I first met him when I was 11 years old. 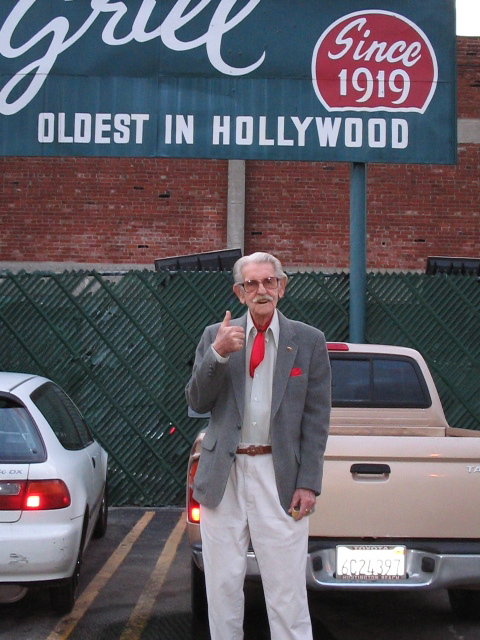 We remained dear friends until the sad moment of his passing in 2006. I miss him very much to this day and he will always remain irreplaceable in my life. One of the few things that saddened me in connection with Billy was that many of his brilliant routines and ideas were so poorly represented in print after the publication of his classic book “McComb’s Magic: 25 years Wiser.” Martin Breese published a written version of his magicassette interviews under the title of The Professional Touch, however it was nothing like as important as “McComb’s Magic” in preserving the creative genius of Billy. McComb’s first book “The First Book of William” is a tough to find booklet, but definitely required reading for the comedy magician. McComb’s remaining routines were mostly scattered around in magazines, lecture notes and pamphlets. I just received a copy of the new book “McCombical” and I am delighted to say that Magic Inc. has finally published a wonderful addition to the written legacy of the brilliant magical mind of McComb. From a series of scattered source, Sandy Marshall has created a book that should be in every magician’s library. “McCombical” will be inspiring performers, hobbyists and scholars for many generations to come because here indeed is a book that pays full tribute to the genius of one of magic’s greatest creators. “McCombical” is 197 pages that jump to life as you read them. The profusely illustrated book divides Billy’s creations into six major categories — Cards, Silks, Ropes, Mental Miracles, Stage and Close-Up/Parlour Magic. Interspersed with the tricks and routines in the book are a series of fascinating and revealing appreciations and tributes to Billy from his many friends. This is a beautifully edited and published book that lives up to its title by putting a delightful focus on the wit and wisdom of this iconic performer and magical inventor. Over the years I knew Billy I was always astounded by the width and breadth of his knowledge about all things magical; this book puts all that knowledge on display and the wise performer will be dipping into it for years to come. A young performer could create a delightfully commercial show just from within the pages of this one book. There are only a handful of books that I can honestly say that about. Many of Billy’s most classic effects are contained within this book including his half dyed silk, whisky egg bag, torn & restored card and a dozen more. They are sure fire and direct effects that are all proven and tested in the arena of real world performance. These routines are written and illustrated in the words and drawings of McComb himself and are a joy to read. When the book arrived in the mail I spent the next day reading the book cover to cover and it was like spending a day with Billy— without the smell of tobacco! ~ by Nick Lewin on October 31, 2014. Billy was indeed the man! He was my hero, mentor and friend.